- Remember! Hillary Clinton Used Bot Farms To Viciously Attack During 2016 Election! On September 26th, we took a look at China's new 'digital dictatorship' and evidence that the emerged 'technological tyranny' there was giving us a peek into the 'mark of the beast system' that is coming to America and as we see detailed within this ANP story, the infrastructure for this sinister system has already been built up all around us and the artificial intelligence mass marketing efforts have been kicked into overdrive as we see in the graphic below and this story over at Overdrive Interactive. We'll also take a look within this story at how artificial intelligence is being used in the globalists plans to create an 'alternative reality', with people now able to create fake news videos using AI, reportedly undistinguishable from reality. While 'chat bots' are sent into cyberspace, programmed to push any number of specific agendas, created to behave like real human beings with their messages, their 'human targets' in comment sections on various stories across the web sometimes unaware they're being duped by machines. And while Democrats and globalists attempted to dehumanize 10's of millions of very real, flesh and blood President Trump supporting Americans by calling us not only 'Russian bots', 'Nazis', trolls and racists, a look back to this March of 2018 story over at the Huffington Post of all places reminds us it was the anti-Bernie Sanders, pro-Hillary supporters who were using massive 'bot farms' to push Hillary's satanic agenda while shouting down Bernie's, viciously attacking anybody opposed to Hillary, both Democrats and Republicans. 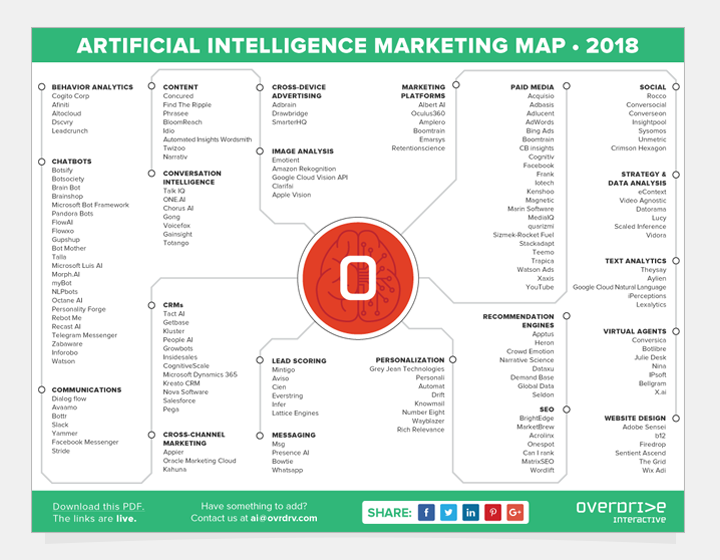 When we take a look at the artificial intelligence marketing map we've embedded above, one thing that immediately jumps out at us is just how many different kinds of 'chatbots' that there are, ready to be used as a weapon against the American people in attempts to sell the globalists agenda. And what of all the different tech fields revolving around A.I.? We remind you that A.I. is already writing more news stories than ever! Sally Albright, a Democratic Party communications consultant who backed presidential candidate Hillary Clinton in 2016. Unsurprisingly, Albright is vocally opposed to President Donald Trump and a big supporter of the resistance to his administration. She is also one of the loudest, most divisive voices attacking Sen. Bernie Sanders (I-Vt.), Clinton’s onetime Democratic primary opponent, and his left-wing supporters. Well after the primary, Albright continues to claim that Sanders is a fraud, a liar, racist and corrupt, among many other things. In one instance she declared that the policy idea of free college, as promoted by Sanders, was racist. This provoked Sanders supporters to argue back. Trevor, a Sanders supporter who declined to provide his last name for fear of being doxxed, but goes by @likingonline on Twitter, noticed a strange pattern of behavior when Albright responded to him. Her tweets addressing him were rapidly retweeted by the same series of accounts. This created a barrage of notifications making it look as though there was an avalanche of opposition to everything he said. But as Trevor discovered, after an extensive amount of research that he posted online, these were not normal accounts. They appeared to be bots ― automated accounts masked as real people being used to amplify a particular political message. Who is really pulling the strings, however, remains a mystery. Albright told HuffPost that the accounts were voluntarily handed over by their original users to an unnamed client of hers to be automated in “an analytics program.” She said she was bound by a non-disclosure agreement and could not disclose who was collecting and automating these accounts or for what purpose. But like her, these accounts were all pro-Clinton, anti-Trump and anti-Sanders. With Americans seemingly now living in 2 completely different worlds under President Trump we should remember, one such world may seem 'very real' but it is also a fictional creation of the globalists satanic agenda. A world created by 'chat bots' such as those used by Albright, how many more such demons are running free on the internet this very moment, attempting to sway conversations in one direction or another by making others reading their comments assume that there are millions more Americans who think just like them, yet they're actually reading the comments of 'Hillary bots', artificial intelligence run amok? As several ANP readers have pointed out, we've seen them on ANP. As The Stream reported back in October of 2016, just prior to the election, "one supporter being paid to create multiple anonymous accounts does not constitute genuine support for Hillary Clinton." And when that one person is able via artificial intelligence to get thousands of other bot accounts to tweet their message as Albright did, giving the impression that indeed there are thousands of other people who feel just like they do, an alternative reality is created, vastly skewed in the direction by artificial intelligence bots. From that October of 2016 story showing us how Hillary used fake support to attempt to look like she had more. 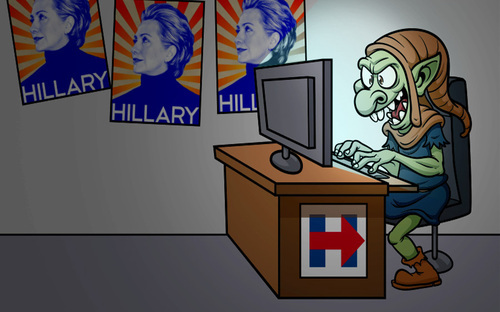 A significant portion of online support for Hillary Clinton is manufactured by paid “astroturf” trolls: a large team of supporters who spend long hours responding to negative news on the internet about her. The Clinton SuperPAC Correct the Record, which is affiliated with her campaign, acknowledged in an April press release that it was spending $1 million on project “Breaking Barriers” to pay people to respond to negative information about Clinton on social media sites like Facebook, Reddit, Instagram and Twitter. That amount has since increased to over $6 million. The trolls create a false impression that Clinton has more support than she really does, because one supporter will frequently create multiple anonymous accounts. And as this new story over at WND reports, while twitter is busy worrying about a 'soy boy' meme shared by Conservative actor James Woods swaying the elections, and while everybody on the left continues to spew their 'Russian bots' rallying cry, google itself has been busy manipulating 25% of the world's elections using artificial intelligence. So for those still wondering why Democrats and the left continue to scream 'Russia' and 'election interference', it's easy to see that they're barking at their own shadows. And all of it is geared towards an anti-freedom and pro-censorship agenda as we hear in the first video below. 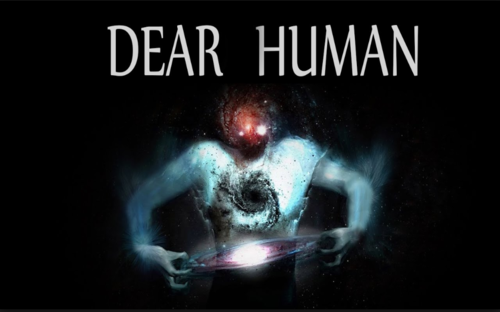 In this new story over at the Singularity Hub that Steve Quayle had linked to on his website on Sunday they ask a great question within it: "Is the rise of 'dataism' a threat to freedom or a scientific revolution?" As Singularity Hub also reported within their story, "the rise of datism means that “humanism is now facing an existential challenge and the idea of ‘free will’ is under threat” due partially to the fact that many humans now rely upon the data they are getting from their ever-present phones to make decisions in their lives such as what road to take to work, where they are going to go for lunch or who their next date is going to be with. With Hillary Clinton's camp during the election proving they're more than happy to use artificial intelligence bots to make it appear to the masses that she's much more popular than she is, and the globalists in general showing they're happy to use a.i. 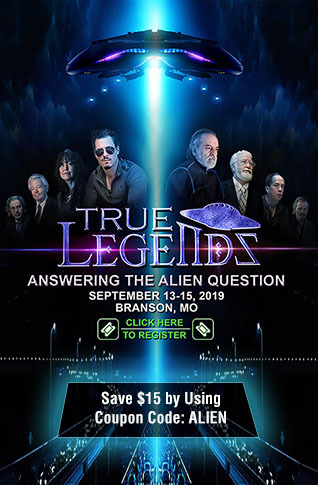 to influence elections in America and all across the planet to their advantage, we need to be able to cut through that 'alternative reality' they've created to finally find 'truth'. Yet despite the lies being pushed by A.I. 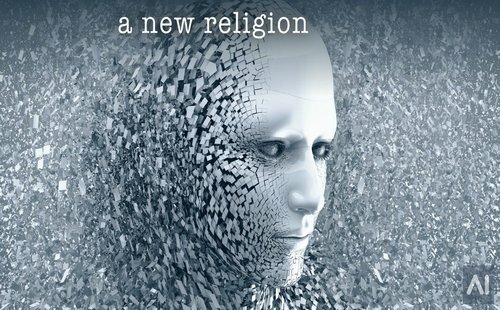 bots and the rapidly growing 'mass marketing campaign' surrounding A.I., the 'wisdom of the ages' shared within the Holy Bible still rings true. So when one faces an onslaught from all sides, we know where to turn for truth in the brightest days or the darkest hours. The first video below features Bernie Sanders supporters talking about the Democratic party establishment's use of bot farms to viciously target and attack both Bernie and President Trump supporters during the election while in the 2nd video below, a new one from Alex Jones and Infowars, Jones talks with us more about the big tech agenda we've been watching unfolding in America and worldwide to crush free speech, a fight ANP is happy and honored to pick the right side of history to be on.